I’ve a new story out! 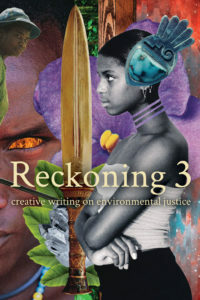 “The Feather Wall” is in Reckoning 3, which is available to buy right now. 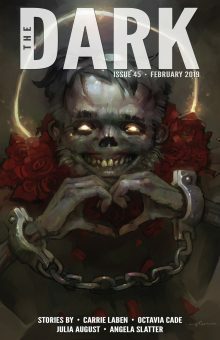 It’ll be free to read on their website later in the year, and I’ll update this post then, but Reckoning puts their anthologies up for sale at the beginning of the year rather than the end. They’re super organised! Anyway, “The Feather Wall” is about kakapo conservation after the apocalypse. Kakapo, if you don’t know of them, are an extremely endangered flightless parrot from New Zealand. They were getting along fine until humans came, but they’re a bit dopey and hopeless and were easily caught and eaten – not just by humans, but by the cats and ferrets and dogs and so on that humans brought with them. There are only a couple of hundred kakapo remaining, at time of writing, in their predator-free island sanctuaries. Fortunately their numbers are actually going up, thanks to the kakapo conservation programme run by NZ’s Department of Conservation (DOC). If you think about it, the world we live in today is actually post-apocalyptic from the perspective of the kakapo! Be that as it may, “The Feather Wall” takes place in a time where plague has killed off most people on the planet. Martin, a DOC ranger on Resolution Island, is left trying to preserve his tiny population of kakapo, knowing as he does that when he dies they’ll likely be overrun by the predators he keeps away. It’s a hopeless task, he thinks, but he can’t make himself stop. I love post-apocalyptic stories, but I’m really fed up with a) their insistence on humans falling into horrible brutish violent behaviour, and b) the rate of sexual assault that’s supposedly justified in the name of preserving the species. Here, the obsession with breeding after apocalypse is directed in a wholly positive way, in ensuring the continuation of the kakapo, and the people who survive the plague have no time for viciousness when there’s conservation to be done! Anyway, here’s a short taster, and please consider buying the antho. 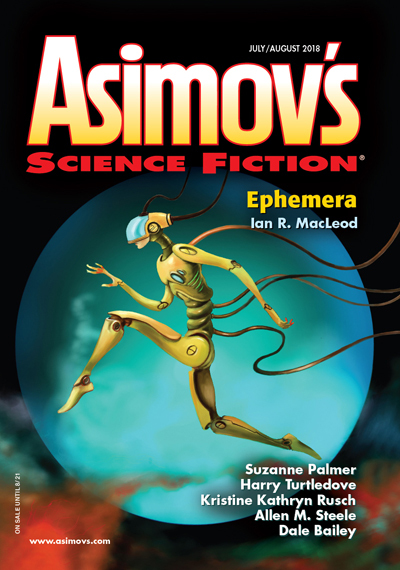 It’s full of environmentally-flavoured fiction, and is well worth reading. “No, I’ll not leave you,” he said, stroking one of the big soft heads. “Don’t worry, I’m not going anywhere.” They were as good as quarantine, were kakapo. It was as if Resolution had a wall around it of feathers and expectation, a thin wall and a flexible one but one that kept him in regardless. And there was nowhere else for him to be, really. His biology had been ecology and conservation more than anything, his university experience a series of field trips punctuated by lectures, and if there was anyone left out there looking for a cure for plague he’d be pretty bloody useless. Better to stay with the birds and hope that Resolution was isolated enough to keep him healthy, hope that if he caught sick anyway the species barrier would protect them. They were still, he thought, the more precious population. I’ve a new paper out! And it’s on a book series that is close to my heart: The Dark Is Rising series by Susan Cooper, which was the fantasy staple of my childhood. I don’t know how many times I read The Grey King as a kid, but it was a lot. I think as an adult it’s been replaced by The Dark Is Rising volume as my favourite of the series, but it’s a close thing. I still read through all five books at least once a year, generally around Christmas, and I always get something new out of them. You can imagine, then, just how thrilled I am to have a paper out on it. Cooper’s got some really interesting examples of sacrifice that pop up over and over again in the series, all of them quite distinct from the others, and that’s what I look at in my paper. 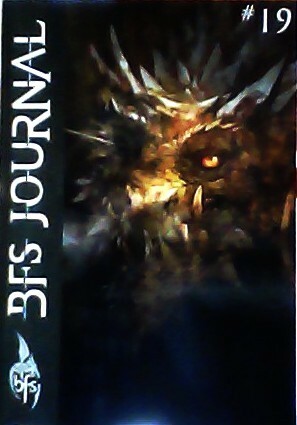 “Sacrifice in Susan Cooper’s The Dark Is Rising Sequence” is out in issue #19 of BFS Journal. It focuses on what exactly makes a sacrifice: how knowledge and intent work together (or don’t) to form different types of sacrifice, and how the sacrifices made differ between mortal and immortal figures. We’re used to seeing grand sacrifices in fantasy literature, but so much of the story Cooper tells hinges on the small quiet choices of characters like Jane Drew and John Rowlands, and for me these are often more compelling. These two characters are particularly small and mortal compared to the more supernatural, the more mythological, figures in the text, and it stands to reason that their actions are comparatively small and human, but they’re no less effective – and no less crucial – for all that. I have a new story out! 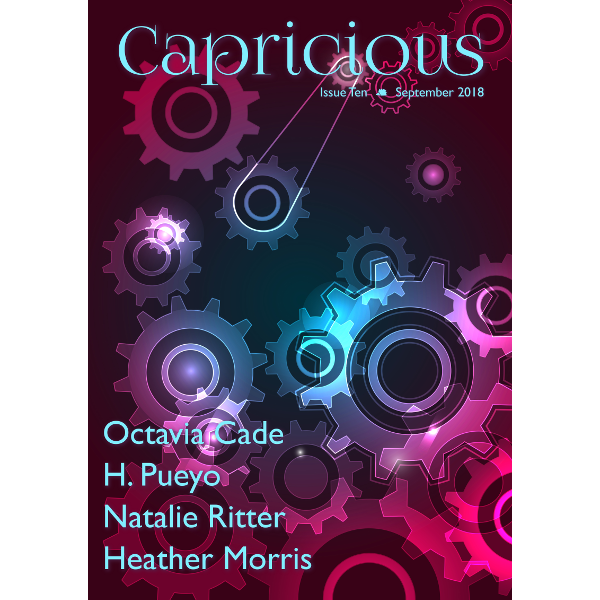 “Nation Building and Baptism” is in the new issue of Capricious, available here. It’s part of a series of stories I’ve written about future post-apocalypse New Zealand, rebuilding itself after global ecological collapse. I love post-apocalyptic fiction, mostly because I really enjoy seeing how communities choose to reinvent themselves afterwards. Do they fall back into the same old patterns? Do they do worse than that, building dystopia out of destruction? Or, what I’m more interested in, do they do better? Apocalypse is a dreadful thing, but it’s also a chance to improve, to look at the ashes of life around you and say “Right. Let’s not do this again” and go on. It’s not that I don’t like dystopias. I do! But I think we’re over-heavy on the miserable response to apocalypse. Of course there’s going to be misery, there’s no getting round that, and hard choices. But I wanted to do a series of stories where choices were about how best to help, how to support the environment and each other. How apocalypse can be repurposed as an opportunity for the creation of a better way of living. “Nation Building and Baptism” is set in a world where conservation and ecological protection has been made a central concern – as it would have to be, after ecosystem collapse. And that has a whole lot of consequences, such as what to do with refugees, for instance, people from places where the environment lacks viability enough to support them. That’s what this story is about – valuing desperate people as people, and giving the them chance to be a part of a safe and stable community again. If you’re interested, pop over to Capricious and take a look! I’ve a new story out! 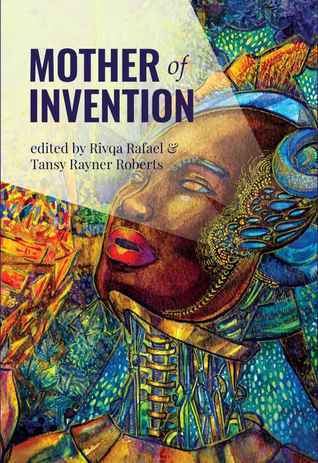 “Sugar Ricochets to Other Forms” is in the Mother of Invention anthology that’s just come out from Twelfth Planet Press. As soon as I saw the call for submissions I knew I had to send a story in. A feminist anthology focused on gender and artificial intelligence? Who could resist. Luckily for me, I had a story idea in the wings ready to go. (This is why it’s so useful to jot down ideas when you have them, even if you’ve not got time to write them immediately.) I’d read, some time back, a book on the history of robotics, and it happened to mention a 17th century text called the Pentamerone, by Giambattista Basile. In this book was the story of Bertha, who built herself a boyfriend out of sapphires, scented water, almond meal, pearls, and sugar. And I thought at the time I read it how delightful it was, and how suited it would be for an updated version. What it is not is the basis for a science fiction story. Luckily, Twelfth Planet Press wasn’t limiting themselves to sci-fi interpretations of the theme, so I used inspiration and theme to whip up what is probably the only sexbot story I will ever write. I’m not really a fan of that particular trope, but it turns out that if you can build a man out of almonds and sugar you can probably build one out of cake… and cake improves everything. 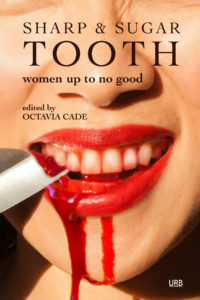 Here’s a little appetiser for you… if you want to read more, go pick up the awesome anthology! She filled his skull with honey. Honey made him thick and sweet, perfect for love. It also looked better if things went wrong. Once she’d filled his head with cherry jam, a thin sweet-sour mix that gave him a measure of tartness in bed, but the woman who rented him became over-excited, smashed the back of the sugar skull against the bedhead and the jam had started to ooze from eye sockets. It was a good thing she’d kept the moulds. It made it much easier to bake a replacement cheekbone, cover over the exposed and splintered sugar teeth with thin layers of almond icing. But from then on it was honey in the skull, which if it leaked at least had the appearance of scented tears, and bloodless…. Our Lady of the Ruins, by Traci Brimhall, is a poetry collection that follows a group of women wandering through the apocalypse. The back cover describes the women’s journey as a “pilgrimage” which is a faith-based term if ever there was one, even though the women themselves are periodically, violently anti-religious. The collection is mythic and layered, the poems forming a fractured narrative. And it’s a challenging narrative at that: a text laden down with metaphor and imagination, taking its imagery from a number of sources and with journeys over land and sea, from the old worlds and into the new, even venturing down into the underworld. Steeped in the language of myth and pilgrimage as well as science, the first poem starts with an invitation that serves the same function as a question: “Imagine half the world ends and the other half continues” (“Music from a Burning Piano”, p. 15). There are a lot of apocalyptic stories out there. I don’t claim to have read all of them, but I have read a good few. They come in all shapes, mostly, although there are certain funnel effects—like the spectre of nuclear war, for instance—that help to form the resulting narrative and give it a sense and aesthetic different from that of a climate change apocalypse, for example, or one caused by plague. What apocalypse stories tend to share is a theme of faith: what it is to have it, what it is to lose it, and how the object of that faith is both constructed and reconstructed in a changing environment. The faith in question could be in family, or it could be religious, or it could be the inability of science to make it all better, to restore order and bring back a semblance of normal life. Faith isn’t the only post-apocalyptic theme, of course, but it is I think the pre-eminent one. The only type of faith that has no place in an apocalyptic narrative is a stagnant one. Stagnancy is dramatically dull at the best of times; following a hideous, transformative disaster it becomes unrealistic as well as dull. So: faith changes, or fluctuates, or perhaps it rebels. Faith, in an apocalyptic world, is metamorphic. Which is why it shouldn’t be constrained by structure. 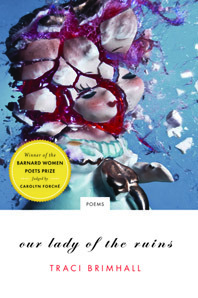 The individual poems in Our Lady of the Ruins are fragments of larger stories. They ask questions of a destroyed world, of the place of faith and the place of stories in a world where destruction and faithlessness is the new norm. Because of this, stories are strung through the text like little seeds, telling of how “curators removed an elephant’s heart / from the museum because it began beating when anyone / in love looked at it, how the coroner found minnows / swimming in a drowned girl’s lungs” (“Prelude to a Revolution”, p. 16). Sometimes, though, these stories are twisted from what they once were. After visiting an oracle, the narrator records, “We tie new knots in her hair and swim / into the belly of a shark to retrieve the book / of signs” (“Come Trembling”, p. 81). When it comes to oracles who are linked to the swallowing of great ocean creatures, we are more used to thinking of whales… but a shark is sharper, more deadly, and more apt for the gorging of war and end times. These twisted little references are found throughout the text, and explicitly so: later in the “Come Trembling” poem is the comment, “We want to believe, to split open the myth / and lie in it” (p. 81); but myths lose cohesion when split open, when examined for cold reality and superstition, and the skewing of the stories reflects a destabilised world in which the old beliefs have become insufficient. This twisting is intentional. If the undermining of faith is the backbone of apocalypse, the transformation of faith is the meat about the vertebrae, the journey towards a place to stand again, the beginnings of recreation, and of resurrection. The spirituality that so conflicts the women at the centre of the collection is implicitly stated to be a form of Christianity—there are reliquaries and madonnas and cathedrals, although all of the last are burning, set alight by the pilgrims in an act of conscious destruction. “We tried to burn every cathedral in the country” (“Hysteria: A Requiem”, p. 48) the narrator confides, but what is the purpose of such burnings? Are they vengeance upon a faith that proved to be inadequate, or are the fires set for the purpose of metaphor? It’s not a new image, fire in the service of purification, of transformation, but in times of struggle we often fall back upon the familiar. Often, but not always – and it’s in this land-mined area between old habits and the kicking against them that new myths are born. Our Lady of the Ruins is determined in its stand against resurrection. The narrator of the poems, one of the nameless women on pilgrimage, resolutely turns away from the possibility of spiritual renewal. This is the primary tension of the text: the betrayed reaction, for even though the women rebel against symbols of what one presumes was their previous, shared beliefs, they are on a pilgrimage still. But a pilgrimage for what? Does a pilgrimage have to be for anything anyway? What if it is a pilgrimage against? Mid-apocalypse is a time for doubt and darkness if ever there was one, and both take centre-stage in this narrative. Doubt is not only a reasonable condition here; it is a mandatory one. “You, chosen for your doubt, / remain on the bridge, caught in your quiet / passage from one broken country to another” (“Diaspora”, p. 22). “You are the doubter and the doubt / worshipping a book you can’t read” (“Gnostic Fugue”, p. 35). Characters who don’t doubt, in an apocalypse, are not characters driven—or even influenced—by reason. Their faith tends towards fundamentalism, their one-track minds so broken by trauma, or by the opportunism granted by trauma, that they’re all too invested in faiths that don’t change. That can’t change, although that “can’t” is always a position both driven and enforced by a faith’s followers. It’s the people more attuned to the world around them, the people with the most awareness of the utter destabilisation of apocalypse, that find their faiths both muted and mutating. The world of Our Lady of the Ruins has been scarred from war until it is almost unrecognisable. “The Colossus” states that, “In the beginning, none of us can tell rock / from bone” (p. 31). This is an example of the conflation of body and nature that is so often illustrated in eco-poetry, lifted out and inserted into another genre, one where the body is equally influenced by—and influencing of—the environment. Here the conflation between the two is underlined by the sterile landscape and the death of the narrator’s baby. Fertility and growth are beyond the personified natural, and the stories are instead those of death and burial, or death and cremation. The images of destruction in this collection are consistently linked with fire. New battlefields are “lit by strange flames” (“The Needful Animal”, p. 32). Even the anonymous narrator links her own desire for obliteration with fire, following the death of her child in “Requiem for the Firstborn”: “I can burn down the sugar cane” (p. 74). Some days she says that “fire is a mirror” (“Envoi”, p. 78), comparing their different capacities for destruction. The only things the narrator can retain are “grief / and a new obedience and four pounds of ash” (“How to Find the Underworld”, p. 75), where the ashes are remnants of fire and the only link to a destroyed past. In the collection’s introduction, Carolyn Forché links the apocalypse of the text with the holocaust that was the fire-bombing of Dresden in World War Two. Forché describes Brimhall as “standing, as the stone lady stood in the ruins of bombed Dresden (as it happens, near the Church of Our Lady), keeping vigil in the aftermath”. The holocaust at Dresden is an apocalyptic landscape also caused by science: the white phosphorous bombs causing fires that would foreshadow the coming atomic bomb. Brimhall, by exploring the lives of the survivors of her own scientific apocalypse, tells their stories by metaphors and mixing, echoing science with myth to make new stories and new meanings for the new (and frequently hideous) world. This merging of myth and science is repeatedly illustrated in the text. I’m thinking of one particular image of a fossil, standing as proxy for the subjective nature of personal truth. The narrator tells of her sister, who knows “that a fossil leaves two stories—one about unmiraculous fish and loaves and a hill crowded with atheists muttering mass, and one about carbon” (“The Revisionist Gospel”, p. 36). Or there’s the poem in which the women visit monks in “The Orchard of Infinite Pears” (p. 82)—monks who refuse to speak, whose primary interest now seems to be in the mathematical properties of zero. If they’re spreading any word at all now, any gospel, it’s of fruit and arithmetic instead of divinity. As I commented before, this is a challenging text. But also a rewarding one, I think, and one that bears repeated reading. It exists in a space of searching and doubt, with juxtaposed images and personal ambiguities—the rages and defeats and small joys of continued existence—illustrating what life in an apocalypse might be for the poets, or for the faithful. Highly recommended.